Graft is a privacy-focused coin which is the backbone of the Graft Point of Sale ecosystem. Mining GRFT can be a profitable venture due to its cryptographic algorithm which is resistant to ASIC’s mining. 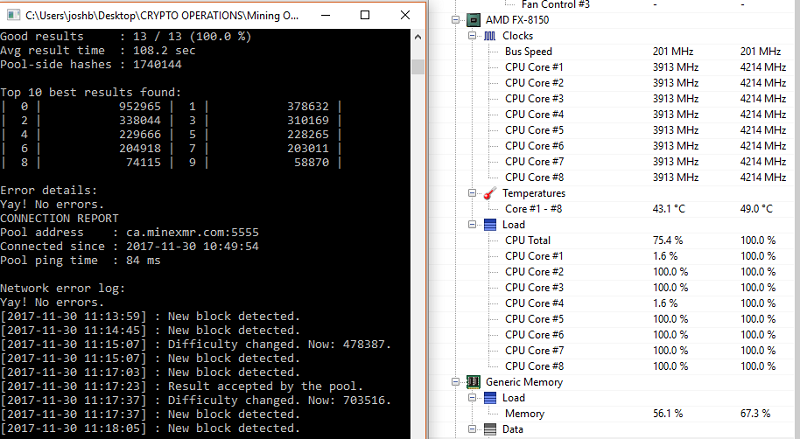 This means that anyone with a CPU or GPU can mine for Graft. Its also a very new coin so there are not many profesional miners mining it yet and difficalty is low. This guide will show you what software programs you need, and how to set these programs up so you can mine Graft in just a matter of minutes. Graft is fork of Monero. 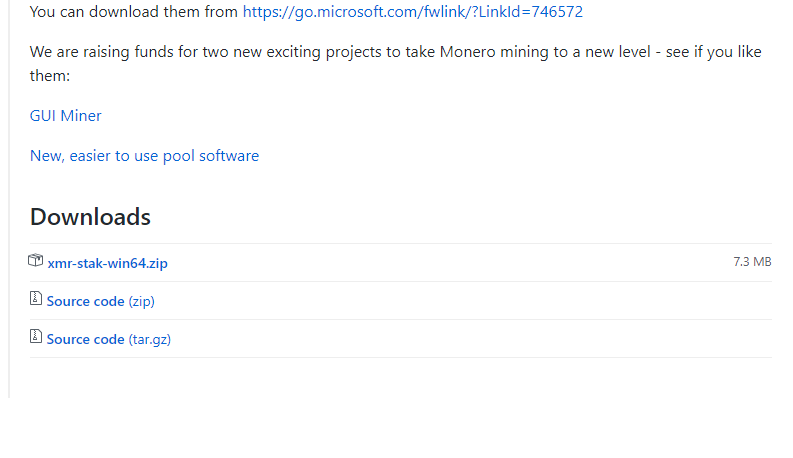 So many of the applications are the same as Monero mining applications. 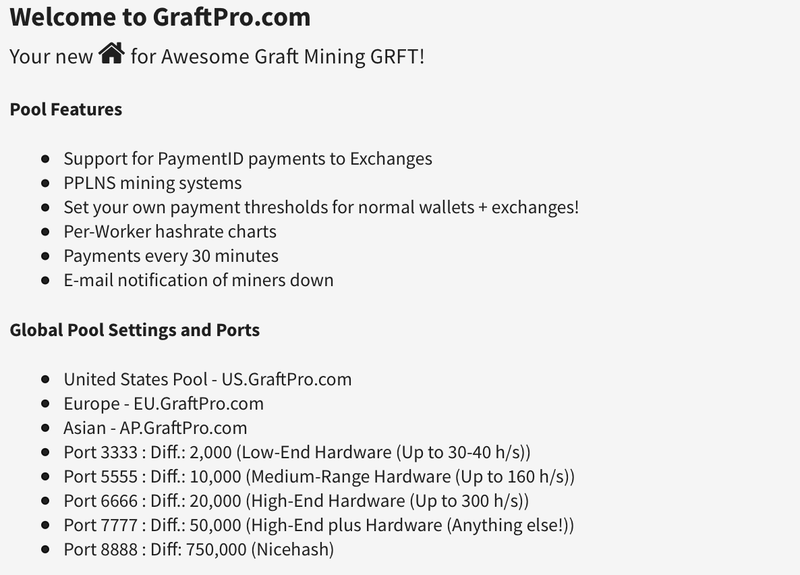 For this guide we will use the Graftpro pool as it has the lowest fees, and is the closest server to me (you’ll want to choose the server closest to your location to minimize latency). The following image shows the connection details to graftpro.com which we will input into the application. For my uses, I will input into the application the server I wish to use with the port number. For example, I will use ‘eu.graftpro.com:5555’. Once this is complete, it asks for your wallet address (or pool login if you’re using something like Supernova). Please see this Graft.network in order to setup a wallet. Once you have your wallet ID, enter it into the application. For password in our case we can just hit enter. The GraftPro pool does not support TLS/SSL so we will use no or ’n’ here. We do not want to use NiceHash, and we do not want to use multiple pools at this time (although it may be beneficial to set up additional pools with automatic switchover just in case one goes down). All these values can be adjusted in the config file later on. 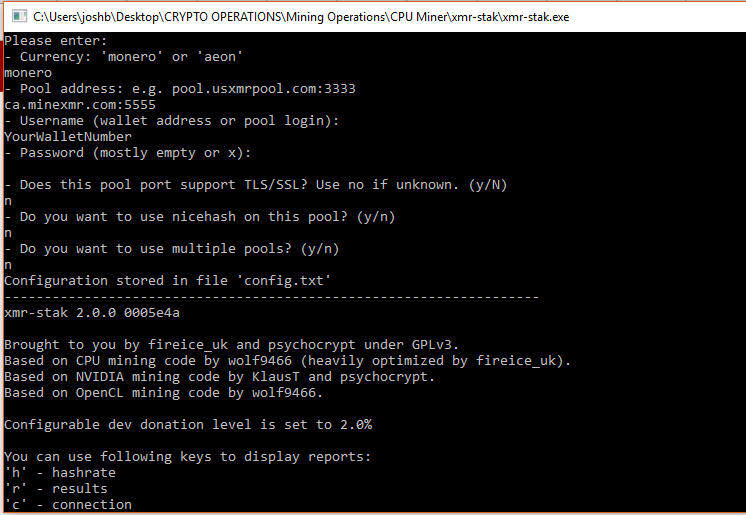 If you want to mine with your CPU, you’ll still need to set up the CPU config file before you can do so. To do this click on the cpu text document that gets generated. You can also use a graft configuration generator tool. Twitter fanatic. Music geek. Coffee aficionado. Cloud expert. Hamburger lover.